Baking soda is a real cleaning powerhouse around the home. It removes stains, sanitizes, deodorizes, polishes, cuts through grease and much more. The best part? It costs a fraction of the cleaners you buy at the store, and a single box can tackle more than one task! If you're ready to drop all of those chemical-filled cleaners and spruce up your house with natural and safe DIY cleaners, grab a box of baking soda and start scrubbing! The first rooms that you will find baking soda useful in are the kitchen and bathroom. From a scouring powder to take care of mold, mildew, and stains to a drain or oven cleaner, this can be a great tool for your cleaning kit. General-Purpose Scouring Powder: Many surfaces in your home can be cleaned with a simple scouring powder of baking soda mixed with water. It is one that you won't mind bringing into the kitchen, either, because it's safe, chemical-free and the same baking soda you use for food. Drain Cleaner: The old science fair trick of combining baking soda and vinegar to create an erupting volcano works wonders to clean drains as well. The foaming reaction cleans out grime and clogs and is a natural deodorizer. Oven Cleaner: Commercial oven cleaners are some of the worst culprits when it comes to chemical fumes and inhaling those make an already difficult task that much more unpleasant. Don't avoid cleaning your oven, avoid the toxic sprays by turning to baking soda and water instead. Your kitchen cabinet holds the key to keeping your carpets looking good and smelling fresh. Baking soda comes to the rescue again! Carpet Deodorizer: Pets and other household odors can get trapped in your carpets, and you may become nose blind to the smell. Commercial deodorizers can be expensive, often only mask the odor and may irritate allergies. 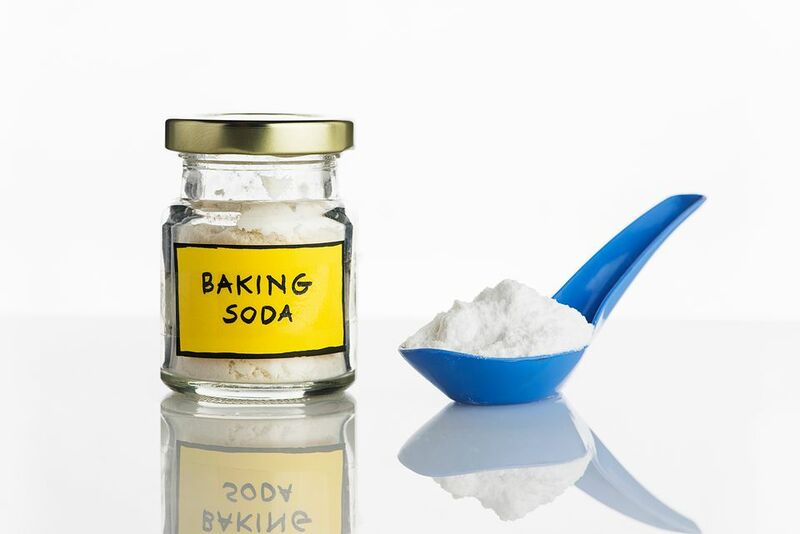 Baking soda neutralizes the smells and is even easier (and cheaper) to use. DIY Carpet Cleaners: Whether you need to scrub out a tough stain or want to give your carpets a deep cleaning, your pantry has everything you need. Between baking soda and vinegar, your carpet cleaning should be a breeze and create a better environment for your entire family. Note: Whenever testing out a new carpet cleaner, do a spot test in a discrete area before tackling the entire room. Whenever testing out a new carpet cleaner, do a spot test in a discrete area before tackling the entire room. Part of baking soda's appeal as a natural cleaner is that it is a mild abrasive. In most instances, it will clean a surface without damage, and that is why it is a great choice for some of those more delicate surfaces around the house. Test out any homemade cleaner on a small area before committing to clean these surfaces. Marble Cleaner: Marble is very delicate, and even a mild abrasive like baking soda can damage it. Copper and Brass Tarnish Remover: That same vinegar and baking soda combination that works so well on drains can be used as a paste to clean the copper and brass around your home. It's easy and works like a charm. Cleaners for your car can be a big waste of money, and you might already have everything needed in your home. Homemade Car Cleaners: Use baking soda to scrub your tires and clean your carpets. It's a great trick to save money while detailing your precious ride.